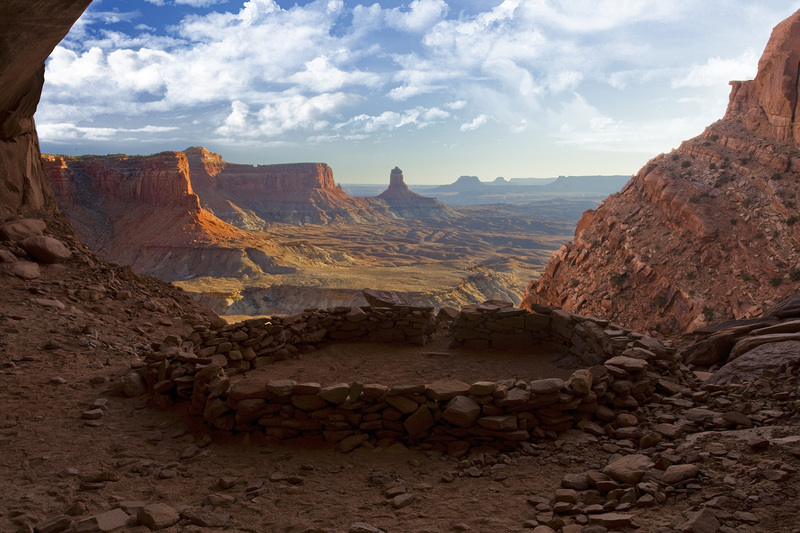 False Kiva is a spectacular historical site in a remote area of the Canyonlands National Park in Utah. Kiva, a Hopi Indian word, refers to a man-made stone chamber or circle used by male Pueblo Indians for religious rites. The name, False Kiva, indicates there is some question about the true origins of this landmark. To capture this breathtaking sunset view, it required a long downward climb over unforgiving, treacherous cliff-side terrain. This photograph evokes the serenity and spirituality of this spectacular, secluded location.